We come to you and fix your problem! TechXperts.guru offer 24/7 PC Support. Call us anytime you have a issue or question. You can also post your questions directly to our Facebook page. We repair your PC problems. Jeff Nevarez has experience repairing all PC’s and Laptops. Let us know what your warranty status is before having anyone do work on your machine. If you are not sure, we can help you find out about your warranty. Jeff Nevarez takes pride on being the Best Pc Repairman in DFW. We take pride in educating our customers on the type of repair needed, what happened and how to prevent it from happening again. 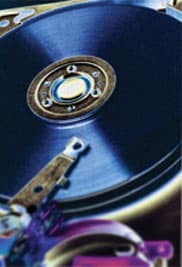 Understanding preventative maintenance measures like Backups, PC Tune-ups, Malware Removal, and others is important as well to make sure your computer or laptop stays in good health. NOW OFFERING REMOTE REPAIR: When applicable, we can repair your computer remotely at a discounted price. Ask us if your situation is eligible for this service. Our computer repair is always backed up with our 6 month warranty. TRAINING INCLUDED FOR YOU AND YOUR OFFICE! TechXperts does not start the clock till we know what going on. We come to you, ALWAYS! Transcribe of Videos, anything that has to do with technology!